As the dust settles following last Sunday’s municipal and European parliament polls, a clearer picture of the post-election landscape is slowly taking shape. Following up and assessing the electoral vote in Greece is not a task for the faint-hearted. The mainstream airtime is monopolized by polarized, heated debates that offer a lot of noise but are of doubtful substance, as all political parties are trying to spin the facts at will. Many opinion makers, catering to the needs of a society under duress following five years of recession and austerity, have somehow lost (or chose to lose) much of their ability to impartially assess. Investment professionals are quite indifferent to this kind of debates or analyses. They have little or no interest in intra party politics or intrigue. Their investment decisions are based on facts and facts only. Their aim is to assess political risk and uncertainty by removing “noise” in an effort to unveil the substance. This may explain the paradox of the Greek equity market’s post-election performance: A relief equity rally after the electoral victory of the Left. In the past, the significance of EU elections in the country’s political scene has been relative, but the stakes for these elections had increased. Discontent following prolonged austerity, unemployment and a 30 percent drop in GDP within the course of the past 5 years, polarized the political scene. On one hand, the coalition government, following a string of positive economic news and the partial return of the country in the markets, was anxious to achieve a positive or neutral result which would allow it to keep on and reap the future electoral benefits of an improving economy. On the other, SYRIZA wanted to capitalize on the discontent and finally achieve a landslide victory which could lead the country to national elections. Before the EU vote, some polls suggested a SYRIZA lead in excess of 5 percent while the performance of the junior coalition member, PASOK (or the Elia alliance), was seen at a dismal 5 percent. Uncertainty took center stage. The Athens General Index plunged more than 15 percent within the course of two weeks. Actual results removed the uncertainty. In the municipal elections (which were held at the same time as the Euro vote), SYRIZA secured only 2 out of the 13 peripheries. Attica, the largest of all, was one of them, but the party’s candidates failed to make an impact nationwide. In the Euro-elections, SYRIZA accounted for 26.6 percent of the votes, giving it a clear but not threatening 3.8 percent lead over ND, the senior government coalition party. Elia (PASOK) clocked a better than expected 8 percent. Despite the fact that the government coalition parties, in total, have lost more than 10 percent of their previous electorate power, their combined power still stands ahead of SYRIZA. Moreover, SYRIZA, failed to capitalize on their weakness, keeping its percentage unchanged compared to the national elections of 2012. More importantly, the electoral performance of the eurosceptic Independent Greeks (3.5 percent) and the ex-coalition member Democratic Left (DIMAR) (1.2 percent) proved a disaster, putting at stake their parliamentary representation in the case of national elections. Especially for the latter, the decision to withdraw from the government coalition some 10 months ago took a toll. Hence, the government may now find itself with non-coalition MPs supporting its policies as DIMAR will try to re-align itself before national elections. The better than expected performance of Elia has also raised eyebrows. Already, ex PASOK MPs who had departed the party expressed their will to return, strengthening the government coalition. 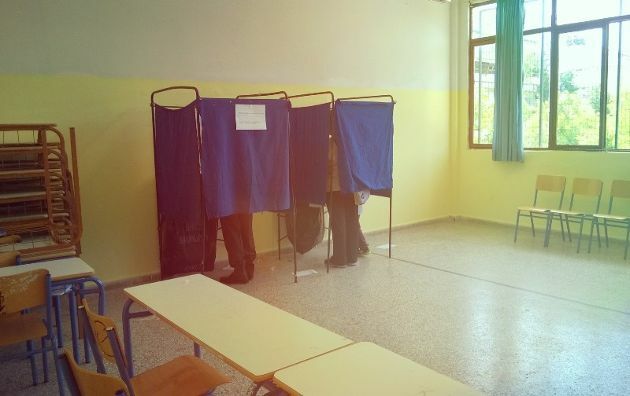 All in all, the EU elections were a victory for SYRIZA which consolidated its recent gains but, paradoxically, also resulted in the strengthening of support for the government’s policies (in terms of MPs) as a result of a better showing for Elia and the poor performance of DIMAR. The result gives breathing space to the government to proceed with its reform plan and to wait for a better economic climate from Q2 onwards, which will help it regain part of its lost electoral power. Realistically, the probability of early national elections, before the moment arrives to elect a new president of the republic in early 2015, has evaporated. Uncertainty was lifted. Since Sunday, the Athens General Index has bounced back more than 13 percent. Looking forward, the electoral showing of the Neo-Nazi Golden Dawn (9.4 percent) remains a thorn. Moreover, it is worrying that political parties are failing to adjust to a changing electorate. The true message of the past two elections has been pretty clear. No party will have a carte blanche in the future. Coalition governments will be the way forward. Extreme polarization may “rally the troops” but is totally ineffective in forming alliances. In the next national elections, no matter which party (ND or SYRIZA) finishes on top, it will eventually have to form a coalition government. Voters have realized that. Now it’s up to the politicians. The same can be said of the job creation plan pushed by Samaras and Venizelos as well as the other government policies that according to this writer can only be "strengthened" after ND's and PASOK's glorious electoral showing.